• WFBF member benefits may change or be discontinued at any time without notice. • Download and print a member benefits flyer here. Wisconsin Farm Bureau members can receive a 35% discount on daily grain, livestock and feed input marketing advice, as well as current market quotes and updates. Members go to www.agrivisor.com and click on E-Visor to sign up or call 800.676.5799 to learn more. Here’s a way to get informed on agriculture issues and help support a popular Farm Bureau program. 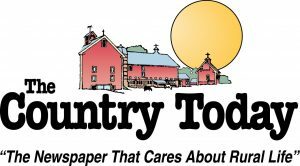 The Country Today will donate $5 to the Ag in the Classroom Program with every new subscription or renewal purchased by a Farm Bureau member. Write “Farm Bureau member” on your renewal or mention it while calling 800.236.4004. Let Farm Bureau Bank help reach your financial goals! The bank offers competitive rates on a variety of loan products and deposit accounts that are FDIC-insured with high returns. Plus, apply for the Farm Bureau Member Rewards MasterCard® that pays Farm Bureau membership. Find out more information on banking products or services today, call 1.800.492.3276 or visit farmbureaubank.com. Wisconsin Farm Bureau has teamed up with TASC (Total Administrative Services Corporation) to bring you AgriPlan. AgriPlan is based on Section 105 of the IRS code and can allow farmers and other self-employed individuals to deduct 100% of their family’s medical expenses through their farm or business. AgriPlan clients save an average of $5,000 a year on their medical expenses. Deductible expenses include all health and qualified long-term care insurance premiums, as well as out-of-pocket medical, dental and vision costs. In addition, Farm Bureau members will receive a 15% discount off the cost of AgriPlan. Be sure to mention discount code WIFA. To learn more about AgriPlan and/or sign up, go to www.tasconline.com/partner/web-partners/470002424730 or call one of TASC’s friendly AgriPlan specialists at 855.591.0562. ScriptSave® is a prescription drug savings card available to all Wisconsin Farm Bureau members. The card is available to you at no cost. Your entire household can use the card for instant savings that average more than 37 percent with potential savings up to 75 percent on brand name and generic medications (based on the 2013 national program savings data). The ScriptSave card is accepted at thousands of independent and chain pharmacies nationwide. The card also offers savings on hearing care, diabetic supplies and active living supplies. You can sign-up by calling ScriptSave directly at 800.700.3957. Mention Group #703 to identify yourself as a Wisconsin Farm Bureau member. You can also sign up online at www.scriptsave.com. This is a discount only, not an insurance policy and does not provide insurance coverage. Discounts are available exclusively through participating pharmacies. The Wisconsin Farm Bureau cares about your health. For this reason, we have partnered with Life Line Screening to offer their state-of-the-art vascular screenings to all members at a discounted price. These ultrasound screenings help detect blockages that can lead to stroke, aortic aneurysms and other artery diseases. Farm Bureau members also get a free osteoporosis risk assessment. For more information, call 844.591.7159 or go to www.lifelinescreening.com/wifb. As one of the top 50 property and casualty companies in the country, Rural Mutual Insurance has been protecting what they value in Wisconsin since 1934. Rural Mutual offers a full line of insurance products, including farm, business, home, auto and life exclusively for Wisconsin farms, businesses and families. With a network of more than 150 agents in 100+ locations across the state, Rural Mutual agents live and work in your communities, understand your needs and work as hard as you do to ensure you are well-protected. *Life insurance and annuity products offered through Farm Bureau Life Insurance Company. See below for details. Farm Bureau Financial Services is a dynamic multi-state insurance and investment organization headquartered in West Des Moines, Iowa. 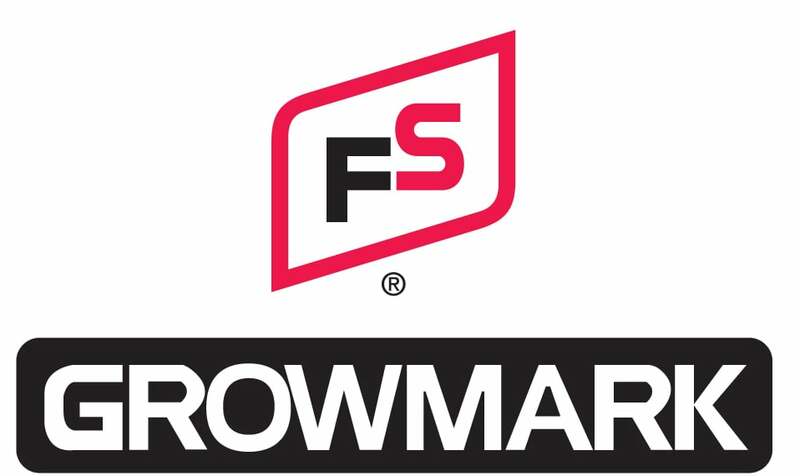 Their companies were originally formed to offer specialized service to rural Farm Bureau Federation members. But, as the years passed, the breadth and scope of those offerings have grown as have its clientele and the size of the organization. Today, FBFS serves thousands of individuals and families in not only rural areas, but also suburban and metropolitan. You can get more information about the financial services from your local Rural Insurance agent. Learn more about Farm Bureau Financial Services at www.fbfs.com. If you have questions or need help obtaining the certificate, please call 1.800.261.FARM or visit your local Farm Bureau office. Wisconsin Farm Bureau members can save up to $2,500 on eligible Cat® machines. On top of that, members receive an additional $250 credit on work tool attachments purchased with new Cat machines. Combine these Farm Bureau incentives with other discounts, promotions, rebates or offers that may be available from Cat or your Cat dealer. Just enter your member ID and ZIP code, and print out your certificate and take it to the dealership prior to purchase. 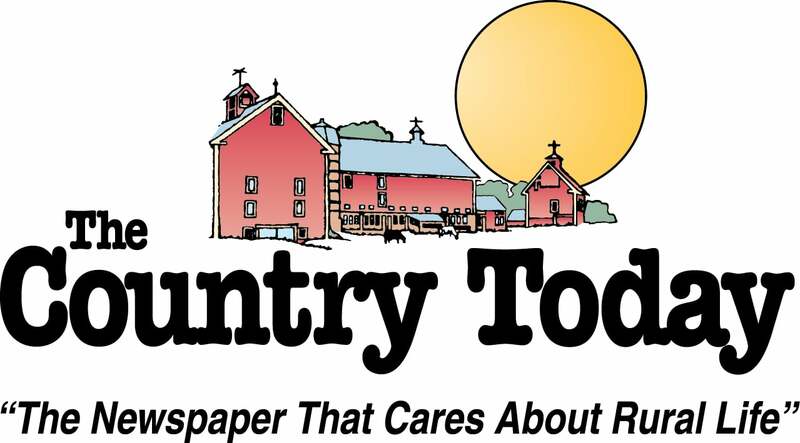 Farm Bureau members who are agricultural producers and patrons of their local FS cooperative are eligible to receive patronage when patronage is paid. 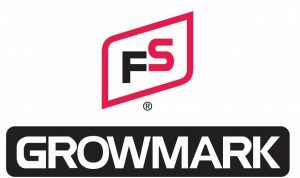 FS and GROWMARK have valued their relationship with the Wisconsin Farm Bureau Federation going back to the days when Farm Bureau first helped form these cooperatives. Click here to learn more. Wisconsin Farm Bureau members get special member prices on selected categories and brands from Grainger, PLUS get free standard parcel shipping on all standard Grainger products. Exclusive member prices on select products from these brands: Georgia Pacific, DeWalt, Irwin, Johnson, Klein Tools, Proto, Stanley, 5.11 Tactical, Ariens, Cushman, ECHO, EGO Power Systems, Gerber, Fiskars, Miller Electric, Rite in the Rain, Sqwincher, WD-40 and Zep. 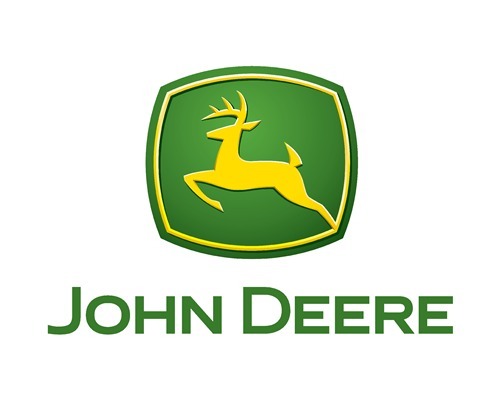 Wisconsin Farm Bureau members are eligible for a complimentary John Deere Rewards upgrade (Platinum 2 status) – which unlocks the best loyalty rewards including valuable equipment discounts. Register today, and explore all that Rewards has to offer. Save up to 80% on Office Depot Preferred Products along with reduced prices on ink, paper, office supplies, toner, stamps/daters, pens, pads, furniture and much more. Members get free next day delivery with free shipping on orders over $50 and terrific copy and print pricing. You can print off a free discount card online and have it laminated for free at your local Office Depot store. You can also use your card when ordering online. To learn more about this member benefit, visit the Office Depot website. Wisconsin Farm Bureau members always receive up to 25 percent off Avis base rates* with Avis Worldwide Discount (AWD) number A298849 . In addition, enjoy additional offers** like dollars off, a complimentary upgrade, or a free weekend day. Visit www.avis.com/wifb or call 1.800.331.1212 to make a reservation. Avis Car Rental operates one of the world’s best-known car rental brands with approximately 5,450 locations in more than 165 countries. If you have member benefit questions, please call 1.800.261.FARM(3276) or visit your local FB office. *Discount rates may vary between 5 and 25 percent, depending on the time of year, availability and other factors. **Farm Bureau discount may NOT be stacked with other AWD corporate or membership discounts. Wisconsin Farm Bureau members always save up to 25 percent off Budget base rates* with your Budget Customer Discount (BCD) number Y775749. Plus, get other great offers** like dollars off, a free upgrade, or a free weekend day. Visit budget.com or call 1.800.527.0700 to make a reservation. Budget Car Rental is one of the world’s best-known car rental brands with approximately 3,350 locations in more than 120 countries. *Discount rates may vary between 5 and 25 percent, depending on the time of year, availability and other factors. **Farm Bureau discount may NOT be stacked with other BCD corporate or membership discounts. 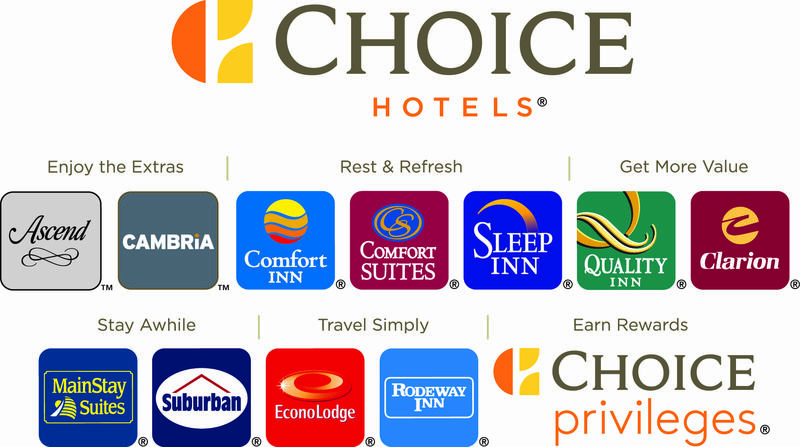 Wisconsin Farm Bureau Federation members save 20% off published rates at almost 5,000 Choice Hotels worldwide! Save 20% off at participating Comfort Inn, Comfort Suites, Quality Inn, Sleep Inn, Clarion, MainStay Suites, Suburban Extended Stay, Rodeway Inn and Econo Lodge hotels. Call 800.258.2847 and mention your Wisconsin Farm Bureau Federation ID #00209870 or go to choicehotels.com and enter your Wisconsin Farm Bureau Federation ID #00209870 to book online. Now save even more! 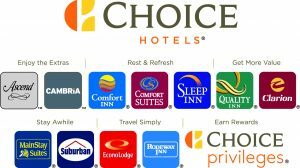 Sign up for the Choice Privileges rewards program today to start earning points towards free nights or flights in addition to your 20% discount! It’s fast, free and easy to join. Earn points at participating Comfort Inn, Comfort Suites, Quality Inn, Sleep Inn, Clarion, Cambria and MainStay Suites hotels. Go to www.choiceprivileges.com or call 888.770.6800 today. Remember to give your Wisconsin Farm Bureau Federation ID # along with your Choice Privileges member number to receive your discount while earning Choice Privileges points. Members save 20% off the best available rate on their overnight hotel accommodations at more than 5,000 participating locations throughout North America including Wyndham Hotels and Resorts, Days Inn, Ramada Worldwide, Super 8, Wingate By Wyndham, Baymont Inns and Suites, Hawthorn Suites, Microtel Inns and Suites, Howard Johnson, Travelodge and Knights Inn. Advance reservations are required. Blackout dates may apply. Discounts cannot be used with other programs. To make reservations at any of the Wyndham Hotels, call: 877.670.7088 and you can then choose the name of the hotel you want and be sure to mention Farm Bureau ID # 8000004288. You can also visit www.wyndhamhotels.com.